There’s nothing quite like a fresh, vibrant Christmas tree with its bold branches, crisp scent and natural charm. But which tree is right for your holiday décor? There are several popular tree species that can be ideal decorations. This tree holds its dark green needles for a good while, making it an excellent choice for those who prefer to decorate their tree early or like to enjoy their tree into the new year. 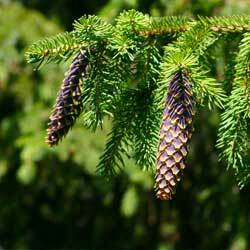 The soft branches and needles emit a faint lemon scent when rubbed. Douglas Firs have an airy open shape, great for lots of ornaments, garlands and lights. This tree has a beautiful bluish cast which gives it a bit of a frosted appearance, especially on lighter new growth. The needles are long and soft, giving the tree a bushier, fuller appearance even without quite as many branches. It has a wonderful pine fragrance reminiscent of the most classic holiday celebrations. 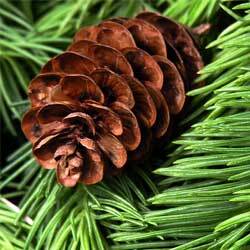 This pine is an aristocrat among Christmas trees with its short grey-green needles and majestic shape. Typically, this tree stays fresh the longest with long needle retention, ideal for longer periods indoors. The branches have a more open shape, great for displaying stunning ornaments. 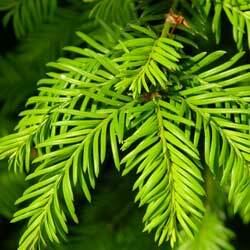 Fraser firs have a delicate evergreen fragrance. This tree looks similar to a blue spruce in shape and color, but its needles are soft, rather than sharp, and have a fresh lemon scent. The branches are very sturdy and great for hanging ornaments, garlands, lights, candy canes and other decorations. When Christmas is over and your tree starts to droop, you have many options to keep it useful. First, you can easily recycle your tree; many parks and towns sponsor tree recycling programs in January. If you live near a beach, there may be a program to install cut trees on sand dunes to help control erosion. If you prefer to use your tree at home, the boughs make perfect mulch for perennials and the trunk can also be chipped for mulch. Chunks of the trunk can even be made into simple bird feeders or similar garden crafts, or you can use the whole tree as an impromptu brush pile to provide protection and shelter for winter wildlife. You might even consider decorating your tree again using cranberry and popcorn strings, small birdseed ornaments and chunks of fruit to create a bird feeding station. 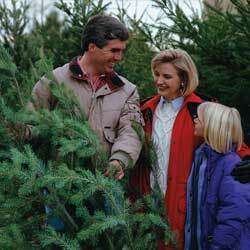 Fresh cut trees are amazing holiday traditions for many families, and there is a perfect tree type to suit your decorating preferences to make amazing holiday memories.